This is a beautiful book. It really is. Brestin does an excellent job of breaking down the meaning of the referenced songs and analyzing songs which, are found throughout the Bible. Brestin includes a Bible study at the end of each chapter so that you or a small group of friends may discuss what you have read and shared. It's overwhelming for this reader. However, we enjoyed it nonetheless. In fact, we may very well have a look at one of her other books, "The Friendships of Women." We are willing to conjecture that it is every bit as uplifting and powerful. Dee Brestin is the author of several Fisherman guides, including Proverbs and Parables and Building Your House on the Lord. 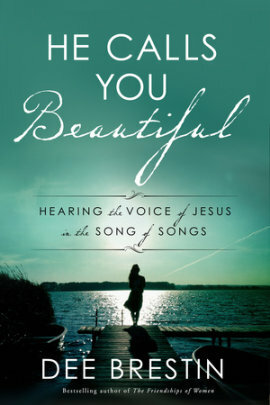 She has also written Falling in Love with Jesus (with Kathy Troccoli) and The Friendships of Women. She and her husband, Steve, have five children and four grandchildren.